Reitmans has brought back Meghan Markle as design collaborator, introducing her second capsule collection, launching this fall. The collection of fashion-forward staples includes five versatile pieces that can easily be mixed and matched taking women effortlessly from desk to dinner. Heavily involved in the design process, Ms. Markle ensured her personal style was reflected in each item. Five key pieces designed by Ms. Markle create the ultimate fall wardrobe, including a modern update on traditional workwear pieces such as a faux leather pencil skirt and boyfriend-style blouse. Cropped leggings and a turtleneck bodysuit add a casual, trendy take on weekend dressing. Rounding out the collection is a cashmere blend poncho that can be styled three different ways. “Ms. Markle truly embodies the modern, professional woman, both in her career and personal life. She resonates with both existing and new Reitmans customers, making her the perfect partner for this workwear collection,” says Jackie Tardif, Senior Vice-President of Merchandising for Reitmans. The Meghan Markle fall collection will be available online and at select Reitmans stores across Canada as of November 3. An exclusive online pre-sale for registered shoppers will also be available, customers can learn more by visiting Reitmans.com. 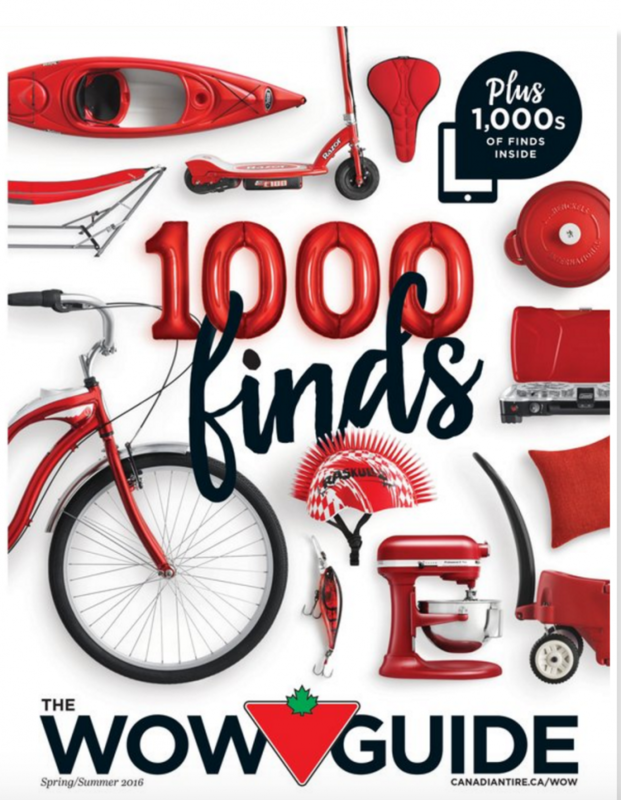 Staples Canada is helping students, parents and teachers get ready to go back-to-school by releasing its annual short-list of the hottest trends. Consumers will find a fresh and wide assortment of items that feature vibrant colours, small and compact shapes and sizes, loveable and huggable products, modern designs and ways to personalize and customize, as well as smart technology to increase productivity. 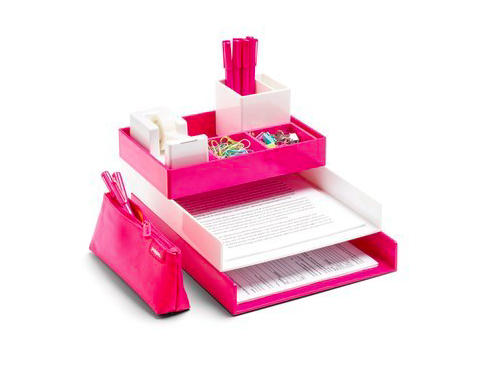 Add a pop of colour to any homework station with the Poppin desk letter tray, pencil case or pen cup. Brighten up a locker area with the NeatLife Drippy Paint Magnetic Pencil Cups and Drippy Paint Magnetic Divided Bins that come in pink, purple, green and blue. Everyone needs a hug or a jolt of inspiration from time to time. Find lots of personal and practical gratification from Staples Animal Folders to the Thermos Chewbacca lunch bag. Keep crayons and the Maped Croc Croc rabbit-shaped pencil sharpener tucked away in a Staples elephant or kitten printed pencil case. Pack only what’s needed, thanks to items such as compact desk clocks for teachers, the Sistema Bento Box all-in-one lunch container and food divider, Swingline mini staplers, 6-in-1 compact PowerCube, PNY Micro Sleek USB and the HP Deskjet printer. With action packed backpacks from Disney’s Star Wars and Captain America, to cute and cuddly lunch bags from The Secret Life of Pets and Finding Dory, Staples let’s students take the movies to class. From Merangue Emoticon Locker Magnets to quirky Merangue Emoji Pencils, these fun products add personality and function throughout the academic year. The ZIPIT Grillz Backpack has an expressive exterior pocket for students who are looking to showcase personality and style. 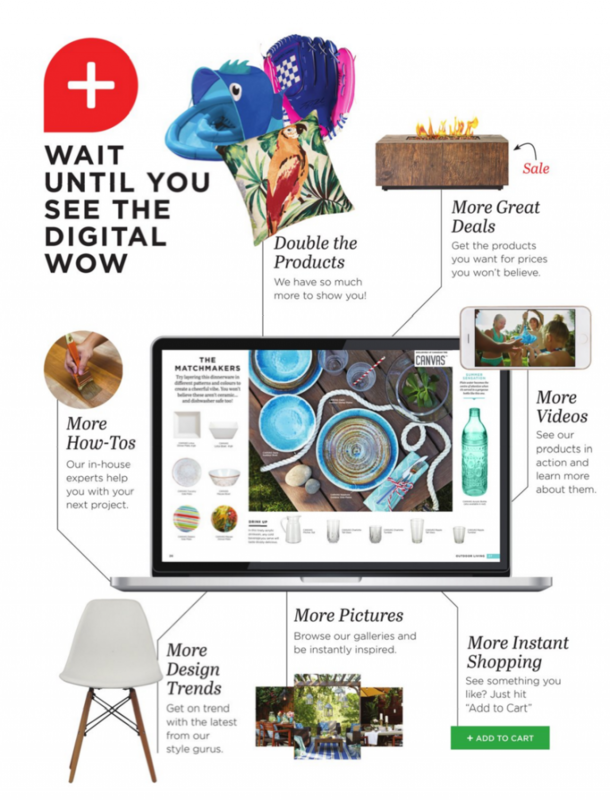 Staples makes sure all bases are covered for optimal back-to-school productivity with slick and slim items like the Microsoft Surface Pro 4, Galaxy TabPro S, Galaxy Tab S2, Skullcandy Wireless Headphones, FitBit Fitness Tracker and the Logitech mouse that comes in watermelon or lemon patterns. The Bose SoundLink Color Bluetooth Speaker saves space while offering powerful sound and quality, and also comes in fun colours such as mint, red, white or black. With items like Post-it Greener Notes, Staples Recycled Poly Report Covers and Staples FSC-Certified Eco-Responsible Multiuse Paper, it’s easy going green. Save money by eliminating waste with re-usable lunch products like the Precidio Snack/Drink In The Box and assortment of Cryopak additions. 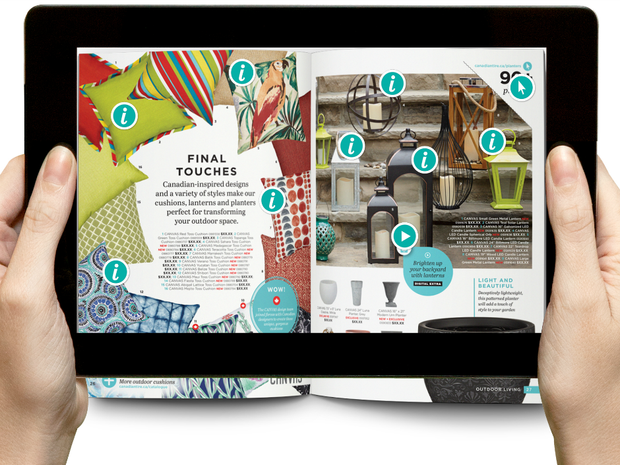 In 2016, customers can expect custom classroom products from Staples which allows parents, students and teachers to personalize agendas, planners, labels and posters – to name but a few. Locker accessories like the Merangue Dry Erase Board and the Wall Pops! Fashion Locker Accessory Kit let students add a personal touch to their space at school. 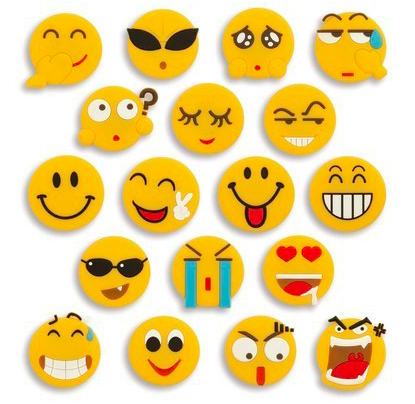 Merangue Emoticon Magnets – Students can showcase their personality with these fun and quirky emoticon magnets. Poppin – Everything will stay in its place while saving desk space with the Poppin letter tray and accessory tray. From metallic and bold pencil cases, to notebooks, staplers and pencil cups, Poppin has fashionable items to keep students stylish this back-to-school season. 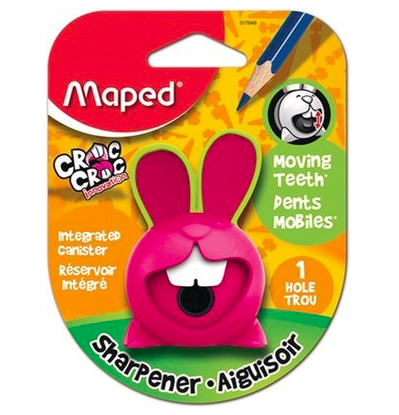 Maped Croc Croc Pencil Sharpener – The rabbit-shaped pencil sharpener is bold, interactive and fun. Sharpen a pencil in a clockwise rotation and watch the rabbit’s teeth move! It’s available in assortment of colours such as red, pink and blue. Staples Animal Folders – The Staples single pocket expanding file easily stores documents and files with a fun design. 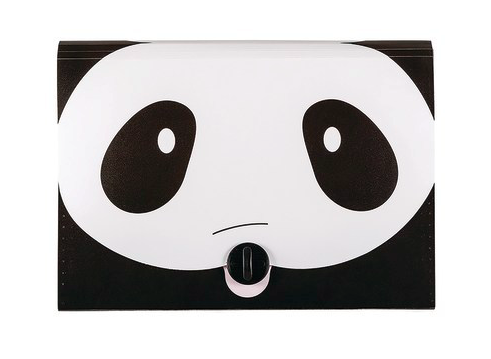 This expanding file folder comes in assorted animal designs to suit any student’s need. The Secret Life of Pets – The Secret Life of Pets backpack and lunch bag can go wherever students go! 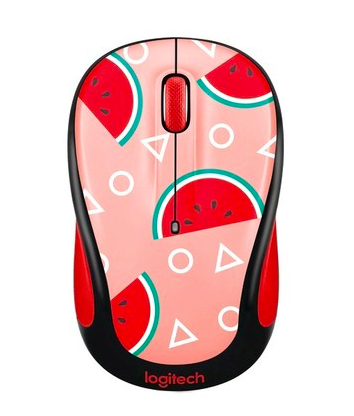 Logitech Mouse – The Logitech mouse is available in a variety of fun patterns such as watermelon or lemon. Not only is it stylish, but it’s ALSO functional and compact for every student. 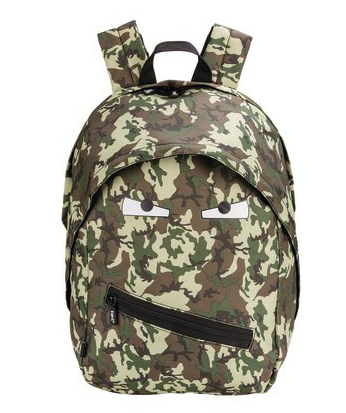 ZIPIT Grillz Backpack – A fun and stylish backpack with a Grillz zipper and eyes on the front. It features a tablet compartment, one large interior pocket and one small exterior pocket. It has a padded back for comfort and padded adjustable straps. It’s available in an assortment of colours and patterns. 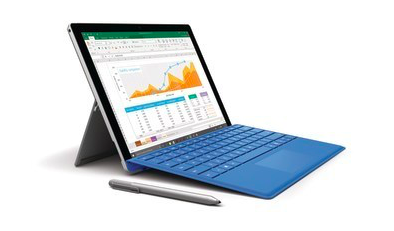 Microsoft Surface Pro 4– The tablet that can replace a laptop. With a powerful 6th generation Intel® Core™ processor, the Microsoft Surface Pro 4 is powerful, lightweight and easy to carry. For a complete list of the top trends and products from Staples for the 2016 back-to-school season, view the online lookbook by clicking here. Staples has all the back-to-school products that students need at the guaranteed lowest prices with a 100% price match guarantee, great rewards and stress-free shopping. Back-to-school resources are available either in-store or online at www.staples.ca/backtoschool, or through the Staples mobile app. Throughout the season, parents, students and teachers can join the conversation around the latest trends, deals and back-to-school hacks using #ThinkStaples. #MothersDay is Right Around the Corner! Did you know that Mother’s Day is right around the corner? 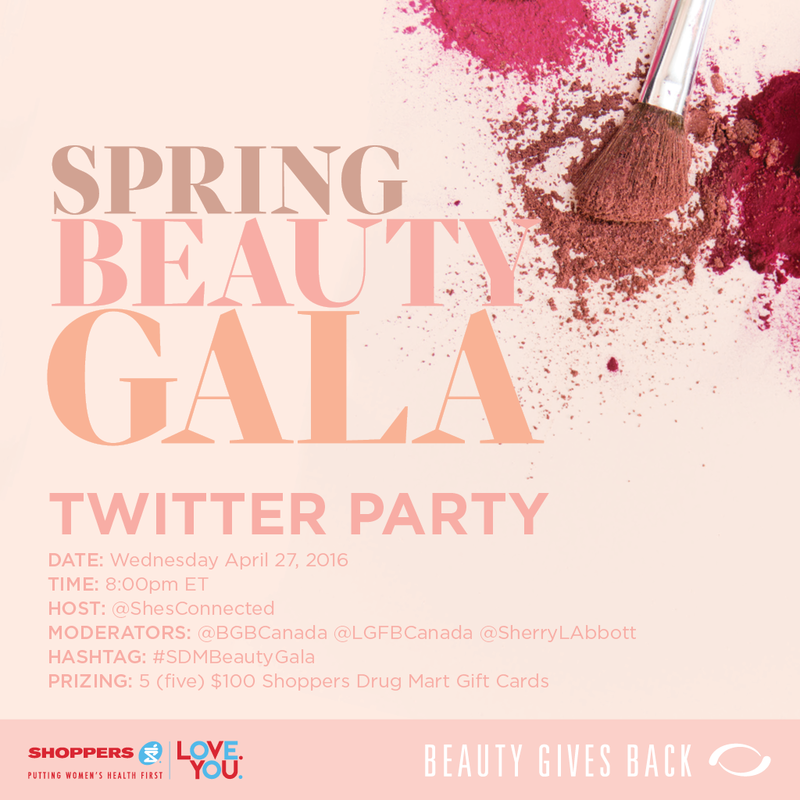 It’s this Sunday! I almost forget every year – this year I scheduled it into my work calendar so I can plan a special day for my mom well in advance! For those of you who are like me and forget every. year., here are some great ideas on how to treat your mom this Mother’s Day! Your Mom is a special woman, we don’t need to tell you that (after all, she gave you the gift of life!) So celebrate with treating her to a fun day out, complete with the perfect presents. You really can’t go wrong with a good brunch! Order champagne or a bottle of wine before she swings by. Check out Toronto Life’s list of top restaurants of 2016 for some ideas – I’m taking my mom to Chabrol! Kasa Moto does a Japanese style brunch every weekend, and they’re amping it up for Mother’s Day! Expect bento breakfast boxes as well as some of the freshest sushi in the city. Brunch starts promptly at 11 a.m. The newly renovated Biff’s Bistro is the perfect spot to bring Mom for Mother’s Day! Is your mother keen on Paris (okay, who isn’t?!?) The Parisian-influenced menu includes Fois Gras, frog’s legs, quiches, frites, and real-deal Parisian desserts.The menu is a-la-carte, and brunch starts promptly at 11 a.m. The resto also hosts a fondue night that evening at 5 p.m.
Bring mom out for an Italian brunch on Mother’s Day, and there’s no place in the city that does is better than Cibo Wine Bar. With locations on King West, in Yorkville, and at Yonge and Eglinton Cibo Wine Bar is hosting a special Mother’s Day edition of Italian Bubbles + Brunch, with a complimentary glass of Prosecco. This King West outpost has the look of a nouveau French bistro, but the food packs a punch. Espresso bar in the front (complete with freshly baked pasteries,) and restaurant in the back, their brunch continues to be the best in the city. Lemon ricotta pancakes, patatas bravas, I’m drooling already. I love treating my mother to a little spa day, but most Spa’s can seriously break the bank. Her Majesty’s Pleasure is a full service beauty boutique on Queen West My favourite part? The spa doubles as a full service cocktail bar so you can sip on fruity martinits while getting pampered. I’ve put together a list of gifts that you can pick up that will make your mother swoon! Show your mom how appreciative you are of all the things she’s done for you with a heartfelt gift. The Bay has a fragrance and beauty sale in honour of Mother’s Day. My mum has always loved Ralph Lauren – walking into a Ralph Lauren store today still smells like I’m walking into her room! This RL gift set has a fragrance, as well as hand creams. Compliment mum’s good looks (after all, she gave you yours!) with stunning jewelry. I’m keen on this small pendant from Sears. You can shop for it here. Many people have very specific taste when it comes to jewelry. Take note of what your mum wears the most frequently. When in doubt, you can never go wrong with a staple piece of jewelry like small diamond earrings or a meaningful pendant necklace she can wear on a day to day basis. Is your mother a whiz in the kitchen? Mine sure is. There’s really nothing like coming home for a holiday for one of my mother’s incredible home made meals – flatbread pizza, eggplant parm, I’m drooling already! Canadian Tire is offering in honour of Mother’s Day – like this GORGEOUS copper cooking set. Check out their sale here. 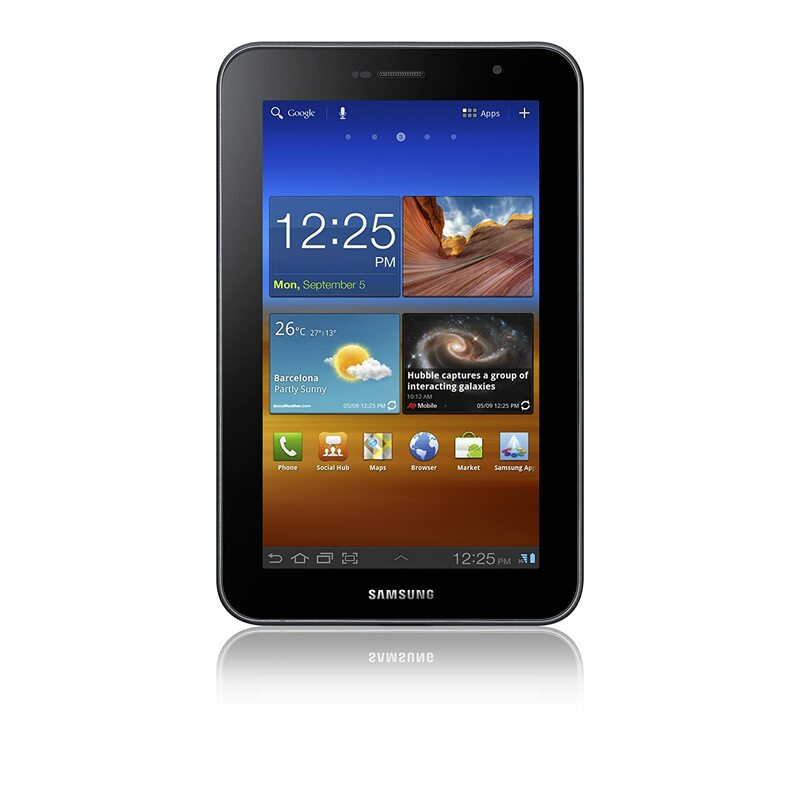 The Samsung Galaxy tablet is one of the newest surfaces to hit the market, so it’s decked out with all the greatest features. Your mom can download books, catch up with relatives on Facebook, and view family photos, all with a swipe of her finger! Swing by Best Buy to pick one up. One of the biggest tech companies in the game, Samsung, is dropping some incredibly new products! The new Galaxy Tab E Lite and Galaxy Tab A 7 arrived in Canada on March 23rd. I’ve always been a big fan of Samsung products because they really think of the user. They may not be as pretty as iPhones, but their performance makes it SO worth it! Especially the memory – the new Galaxy offers 32 GB of MicroSD storage! They’re wonderful products for travelling too (something I do WAY too much of!) Instead of bringing my larger laptop everywhere, the Galaxy tablet enables me to do alllll my work, without carrying everything around! And I can download movies and watch them on my long-haul planes. The best part? The Galaxy phone has a no-slip back, for those of you who are prone to dropping your phone! Versatile device options for the entire family: The Multi User Mode enables families to create up to eight unique user profiles with their own music, games, apps and photos. While sharing one device, everyone can keep everything organized and ensure personal information stays personal. Multi-tasking ease: Maximize time and productivity by working on two apps at the same time.Effortlessly watch movies, check email, shop online and chat with friends on a single screen. Safer and more secure Kids Mode: Enabling Kids Mode allows for up to six kids’ profiles, blocks unsuitable apps, sets time limits and provides a wide range of fun and educational content giving kids access to a safer and more appropriate world of colour and fun. Ultimate value and affordability: Available for under $200, these high-performance multi-purpose tablets can be used for working, storing and viewing content. Designed to offer the ultimate family-sharing experience, both tablets offer a child-friendly interface, endless entertainment options and multi-tasking functionality, maximizing productivity while keeping everyone in the family connected to what matters most. Here are all the specs from the brand new products! When you were little, what chores did you get stuck doing? I remember I was always on garbage duty – I’d have to make sure all the garbage and recycling bins in the house were not overflowing, and I’d drag the big bin to the curb every Tuesday morning. Although I hated it at the time, looking back it set me on the road to being a responsible adult! That’s why I was so surprised when I read a new research piece last week. Did you know that 79 per cent of Canadians surveyed feel that Children who grow up without doing chores are more likely to grow up with an unhealthy sense of entitlement? Even more scary – 59 per cent of Canadians surveyed said children today spend less time doing chores compared to when they were young! Experts say there are two areas where chores influence children’s development – increasing independence and increasing the ability to work well with others. Even though it doesn’t feel like a large contribution, small tasks like taking out the garbage or doing the dishes imprint a sense of responsibility in us. It helps us learn to care for our families in the long run! What do you think? 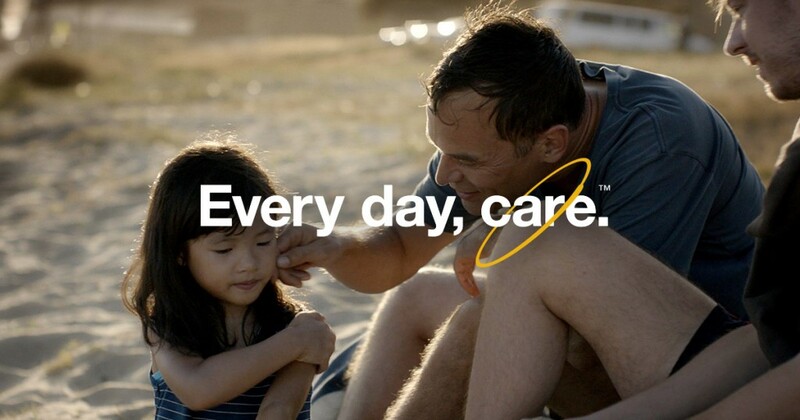 Let us and Whirlpool Canada know by tweeting with the hashtag #EveryDayCare! 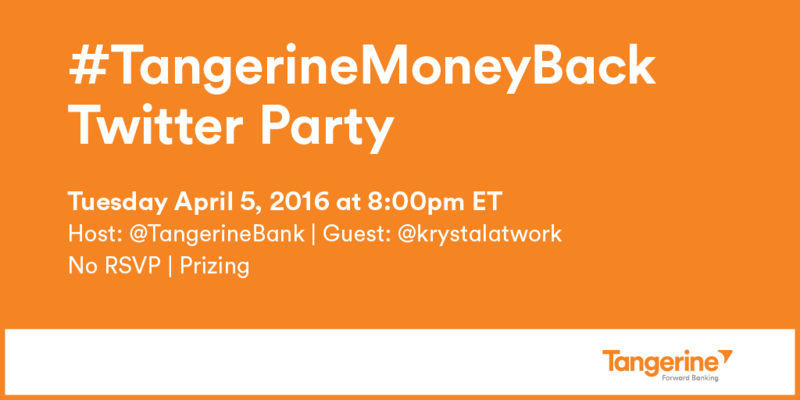 Join us for the #TangerineMoneyBack Twitter Party on April 5th! 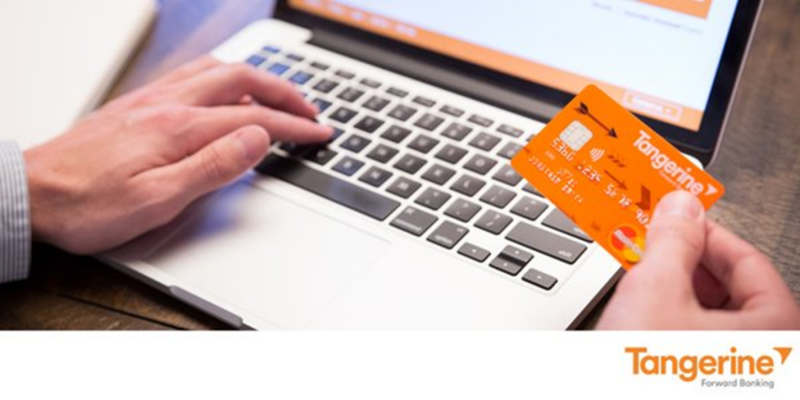 Tangerine Bank just launched it’s new Money Back Credit Card that includes phenomenal ways to save your money! When you sign up for your Tangerine Money-Back credit card you can select two (or three if you have previously deposited your Money-Back Rewards into a Tangerine Savings Account) ways to earn 2% money-back. There are no caps on how much you earn, can you believe that? The money-back you earn at Tangerine gets deposited directly into your savings account. You can pick two of the above categories to earn money back on while using the car. I love that you’re able to choose whatever category is most relevant to your own lifestyle so you can reap the most benefits possible.You can change your categories whenever you like! 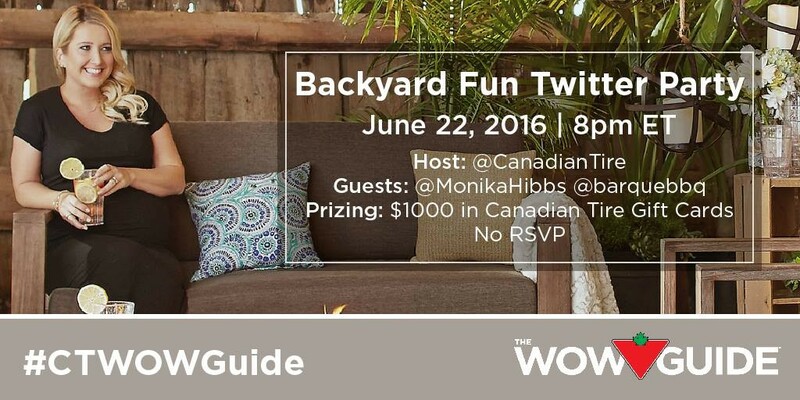 And perks of signing up by June 27th, 2016 – your chosen category will earn 4% back in the first three months! The card has a 1.5% foreign transaction rate, in comparison to the usual 2.5% rate you can save a fair amount if you travel abroad frequently! Earn 2% Money-Back Rewards on purchases in two 2% Money-Back Categories of your choice, and 1% Money-Back Rewards on all other purchases. Orange Alerts are emailed to you so that you’re up-to-date on what’s happening in your Account. Extended Warranty, which may double the period of repair services, to a maximum of one additional year, when the original manufacturer’s warranty expires. Want to find out more? Join us on Tuesday, April 5th while we talk about the #TangerineMoneyBack program. Hey Buddy!, I found this information for you: "Meghan Markle Designs Fall Workwear Collection for Reitmans". Here is the website link: http://shesinfluential.com/2016/11/14/meghanmarkledesignsforreitmans/. Thank you.